Hyderabad is a popular city in India. This is one of the best place to visit in Telangana. Apart form being the capital of the Telangana state, Hyderabad is also an important commercial center. The places which attracts the tourists most in the Hyderabad are Charminar, Makkah Masjid, Golconda Fort and many more places. The tourist visit this place, where a beautiful architectural designing can be seen. Hyderabad is really a wonderful city. Hanamakonda is a wonderful place in the Telangana state which is visited by many tourists. The main attraction here is the Thousand pillar temple located here. This temple is dedicated Lord Shiva, Lord Vishnu and Lord Surya. The temple was constructed in the 1163 AD. The pillars of this temple are very strong and beautifully carved. This is a very nice destination which can really make the tourist feel soothing. Nizamabad is a nice place in the Telangana. The Nizamabad is having very beautiful temples and well architecturally designed monuments. This city is located near Godavari river. Pocharam wildlife sanctuary is very well-known here, which is rich in wildlife and forest area. Many of the tourist do visit the Pocharam with their family and they can have a great enjoyment there. Warangal is another well-known place in the Telangana state. This place is located very near the Hyderabad city. There are different historical monuments and different temples here which is liked by many of the tourists here. The road and railway network is well-developed in this region. The Laknavaram and Ramappa lake is visited by many of the tourists here.This is very awesome place which should be surely visited by the tourist coming here. Medak is a fabulous place in Telangana. This place is very nice for the wildlife enthusiasts as the Narsapur forest is rich in wild life. Various kinds of wildlife can be seen here. Different migratory birds and various other species can be seen in the Manjira wildlife sanctuary. The tourists can really have a very wonderful moments here. This place can really mesmerize the tourists with its beauty. 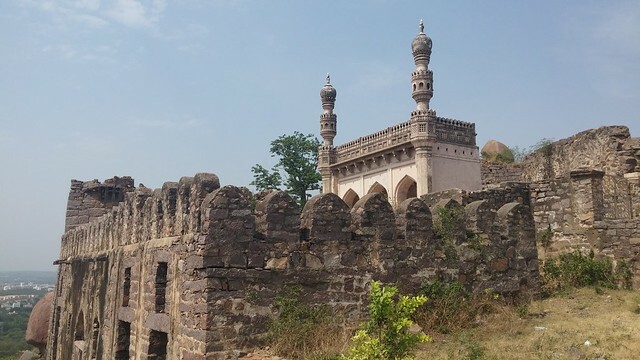 Karimnagar is a good city which is having many of the forts here. This place is located near the Godavari river. There are different types of temples located here which are constantly being visited by many of the devotees here. This city has advanced very much recently in various commercial sectors. The cuisine in the Karimnagar place is very beautiful, which is liked by many of the people. Bhadrachalam is town which is situated near the Godavari river. Many of the tourists come here for the pilgrimage purpose. The temple Bhadrachalam temple of Lord Ram is the most visited temple here. The temple is very beautifully built which can easily give a nice soothing experience for the visitors there. Many of the facilities are made available for the tourists there. The Khammam city is located near the Godavari river. This place is having few of the nicely built forts, which is being visited by many people. Also there are many of the temples, lakes which attracts the tourist. The variety of wildlife can be seen in the wildlife sanctuary named Kinnerasani Wildlife Sanctuary here. This is the only place in South India which is rich in Coal mines. Adilabad is a very wonderful place in the Telangana state, which located in the extreme North of the State. This place is having various fabulous waterfalls and parks, which are attracting many of the tourists here. The different wildlife species can be easily seen in the Kawal wildlife sanctuary. There different facilities made available for the tourists here by the government. The Basar Saraswati Temple is the must visit place located in the Adilabad town. Nalgonda is well-known place in the Telangana. There are different rivers like Musi, Krishna, Dindi, Pedavagu and few more flowing through this region. This has made this place very rich ecologically. The tourist are attracted by this. However, the most important place which is definitely visited and appreciated by most of the tourists here is the Nagarjuna Sagar dam, which is simply awesome. People should never miss visiting this beautiful dam. Also, many of the temple and monuments are attractive here. Awesome post. Really liked it. You might like my new blog related to Bhutan. Keep writing .